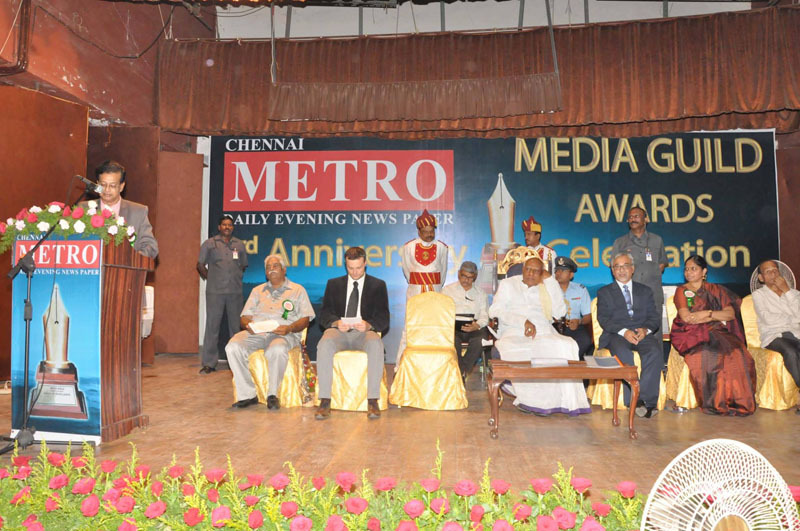 ChennaiMetro Daily Evening English Newspaper 3rd Anniversary Celebrations and Prestigious MediaGuild Award function was held on 11-08-2014 at Women’s Christian College in Chennai. 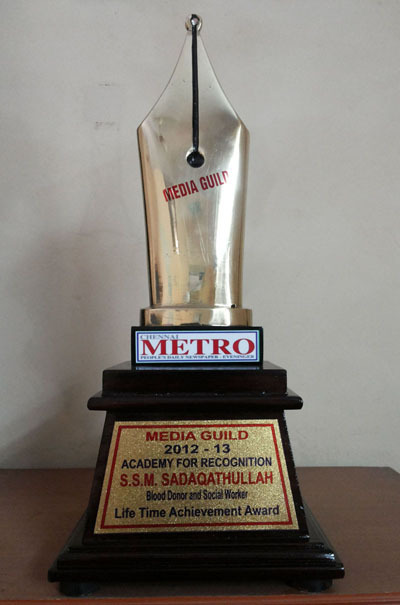 I received Media Guild Award 2012-2013 in recognition for my contribution in the field of Blood Donation. 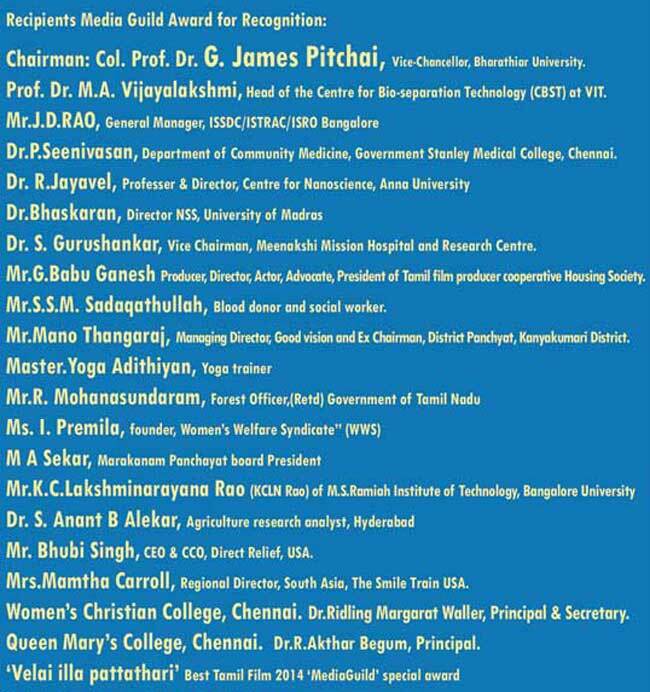 Dr. K. Rosaiah, H.E. 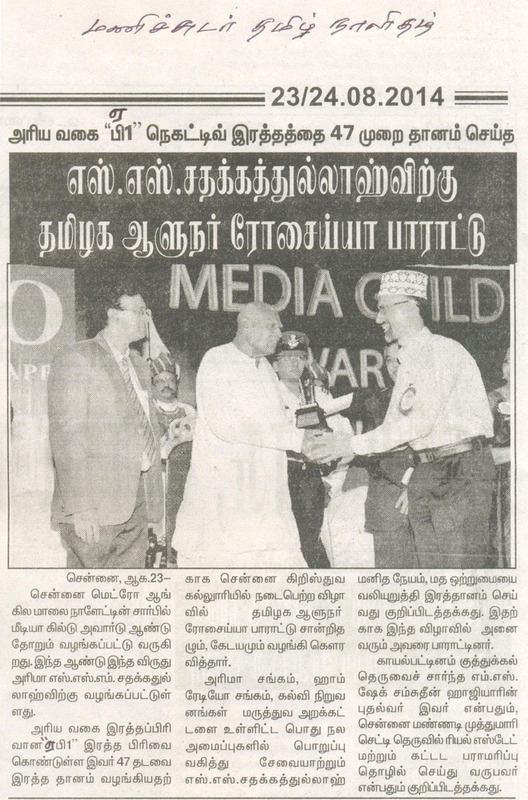 The Governor of Tamil Nadu, was presented the Media Guild Award to me. 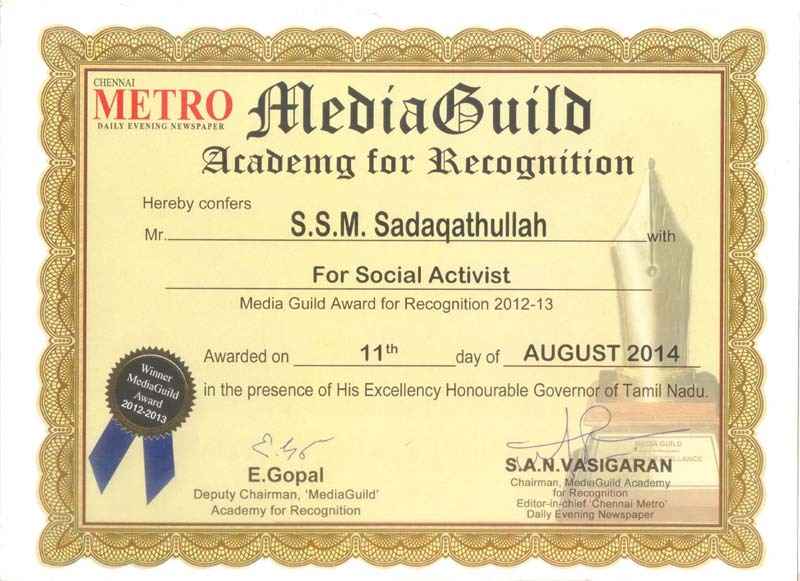 Many Thanks to Mr Vasi Garan, Editor in Chief - 'Chennai Metro' Daily Evening Newspaper and his team for this honour to me. 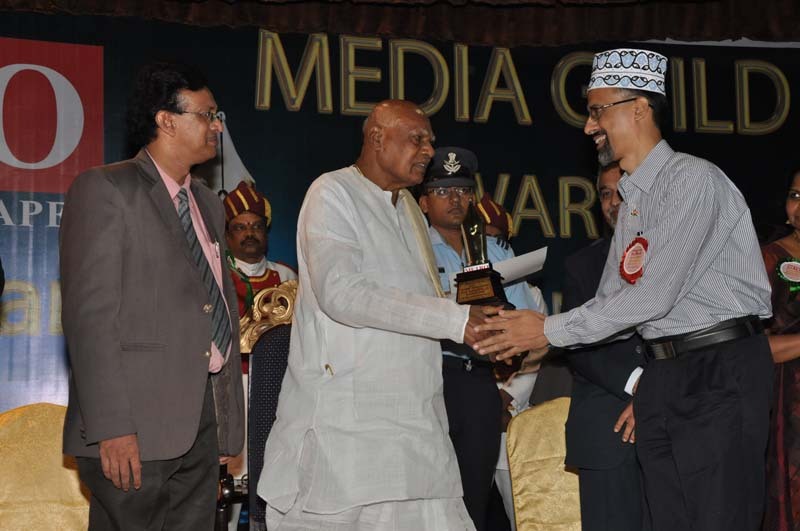 All Praise to Almighty God - Alhamdulillah! May peace be upon you all. 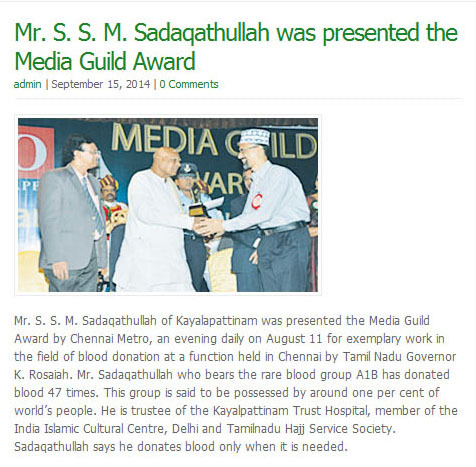 I am Sadaqathullah, a voluntary blood donor from Kayalpatnam, Tuticorin District. 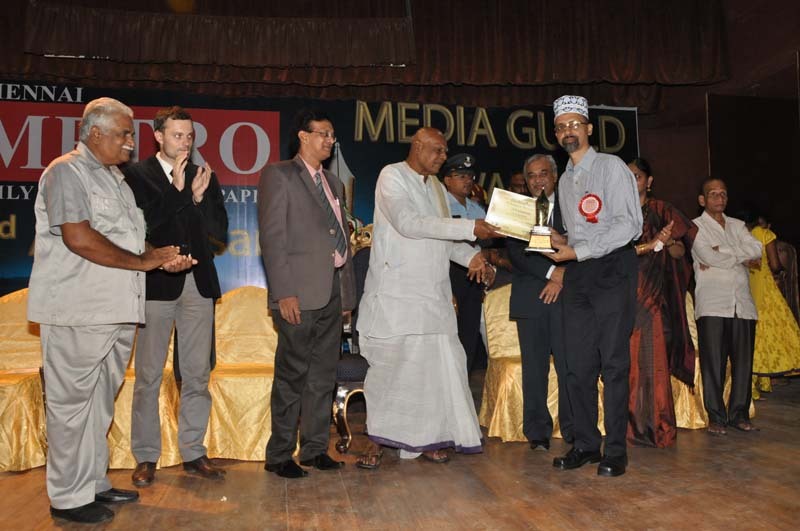 Today I stand before you because of blood donation. By God's grace, so far i have donated blood 47 times. 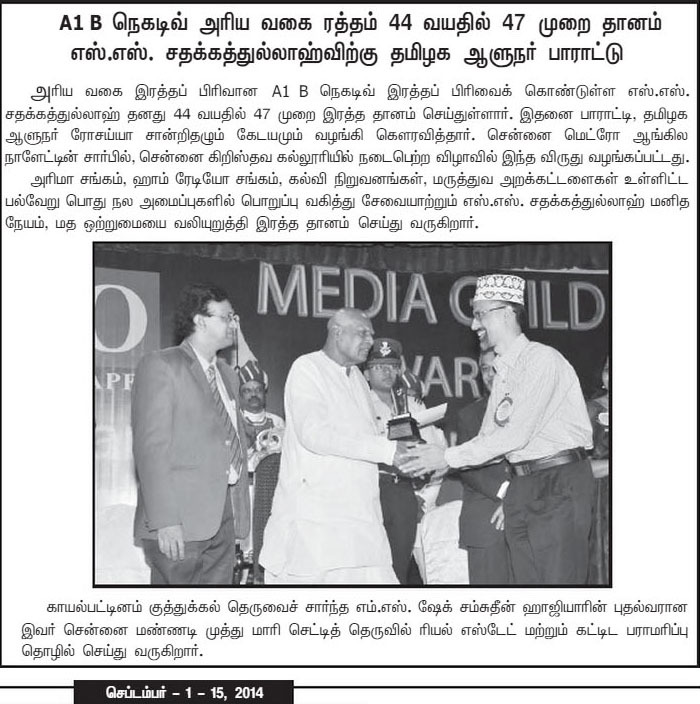 Thanks to Almighty God. 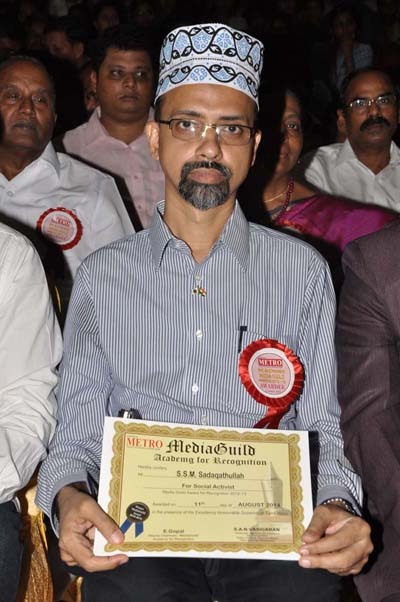 I started donating blood from the year 1993. First time i was very afraid to donate blood. 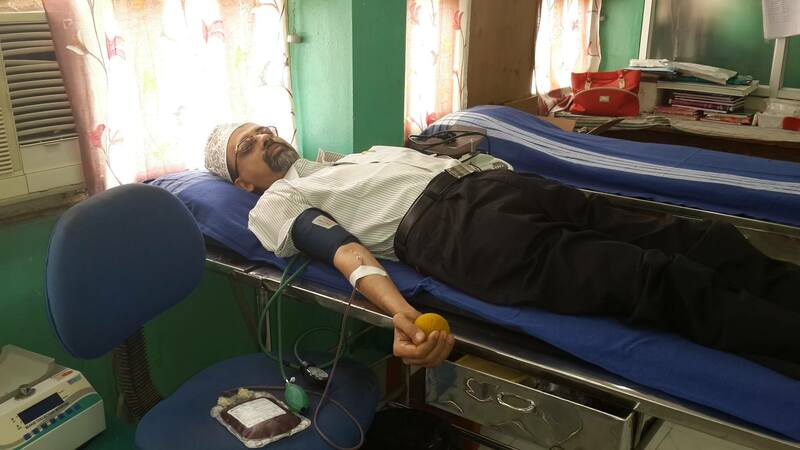 But after donating blood, i felt satisfaction that i can also do some service to fellow human beings. I am regularly donating blood for the past 20 years and my blood group is AB- or A1B- (very rare group) - only around 1% of the world's population have this group. I only donate at the time of requirement i.e when the patient is admitted in hospital for surgery (or) any other ailment. 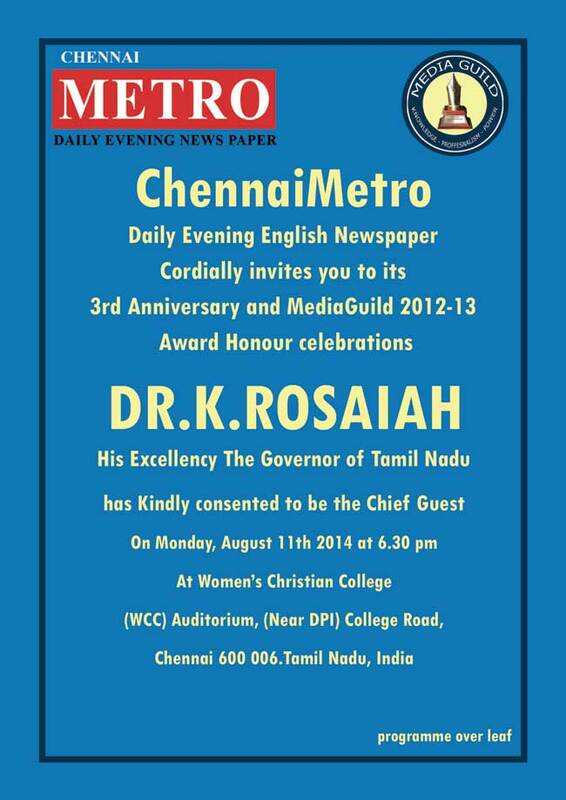 Today i am very happy that my service is being recognised by Chennai Metro Evening English Newspaper Award Committee. 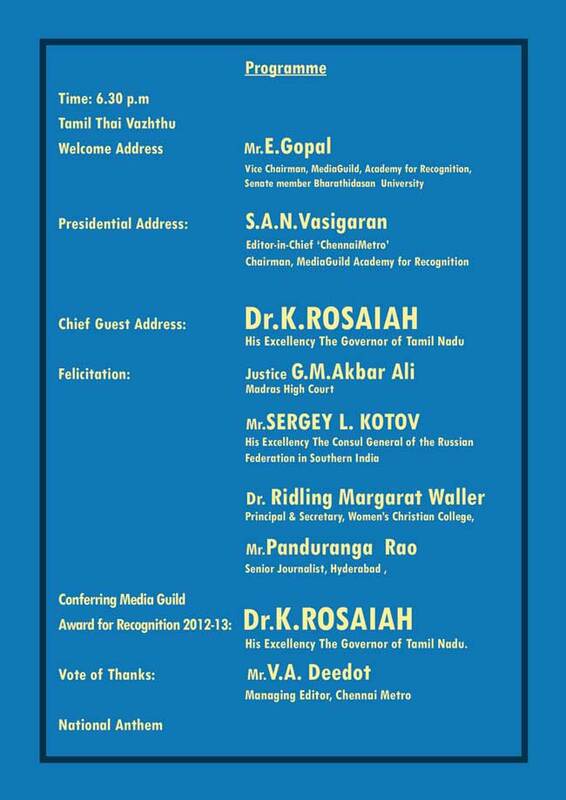 I want to thank Mr.Vasigaran and his team for this honour. 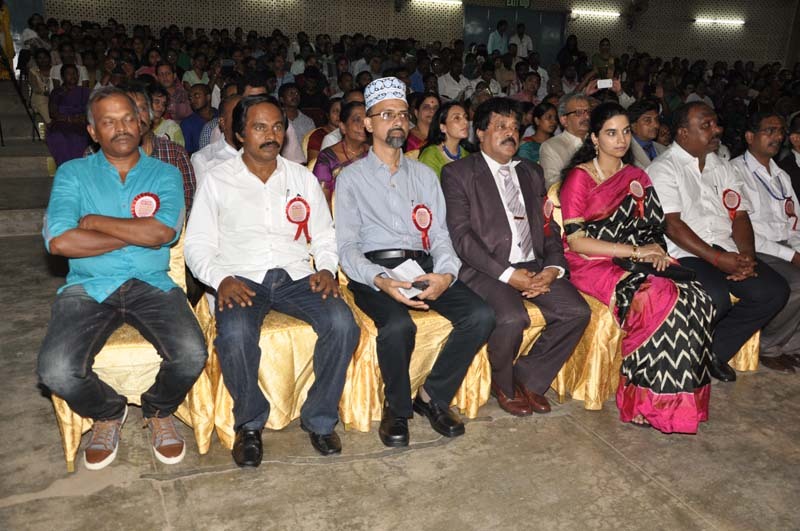 I take the opportunity to appeal to all of you to please enroll yourself as voluntary blood donors. 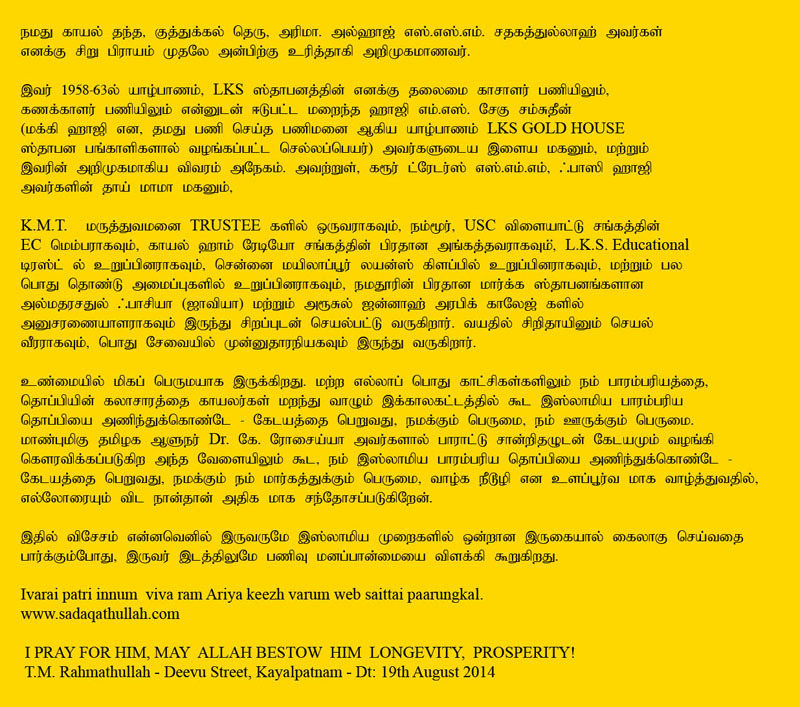 Thank you, May God bless you all.